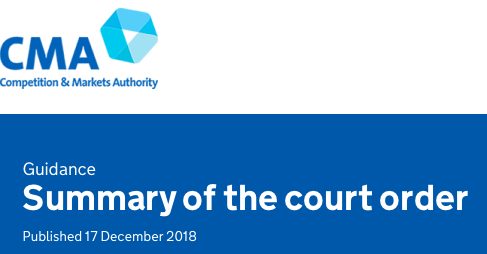 As of this morning, secondary ticketing website viagogo was required to implement substantial changes to its business practices following a court order served in November 2018. This follows an important and ongoing investigation into the secondary ticketing market by the Competition & Markets Authority (CMA). The legally-binding document demanded that viagogo “overhaul” the way it does business and comply with a wide range of consumer protection legislation. Viagogo were also ordered to stop presenting users with misleading messaging about the availability and popularity of tickets. To take action when notified by an event organiser about problems with a ticket listing. And to carry out an independently supervised review of unpaid refund claims going back to 2016. A fully summary can be accessed here. While other secondary sites investigated by the CMA have followed deadlines, Viagogo appears to have made only minor amendments to their website. FanFair Alliance will now begin a process of collating and submitting further evidence to the CMA. In response to these developments, we have issued the following statement. As of this morning, Viagogo was under strict instruction to overhaul its business practices. Based on our findings today, they have failed to do this. Although a few minor changes have been implemented, some of which may add even more confusion for consumers, we would be astonished if the site is compliant with the terms of its court order. FanFair Alliance urges all music fans to avoid Viagogo. It’s practices are an affront to audiences, to artists and to the law. We feel the CMA must now step up and take urgent action.